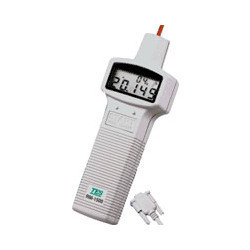 We are a leading Manufacturer of digital tachometer and digital laser tachometer from Mumbai, India. 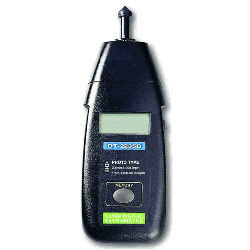 0.4” LCD with function announciation. Range : 5 to 100,000 RPM. Sampling Time : 1 second. Memory Call last max. / min. value stored. Detecting distance : 50 -150mm. Range 10.00 to 99,999 RPM. Event counter with elapsed time. Contact RPM and circumferential velocity measurements in one simple adaptor. Display : 5 digits 99999 counts. Sampling rate : 0.7 second (> 60rpm) >1 second (10 to 60RPM). Measuring Distance : 50 to 300mm. 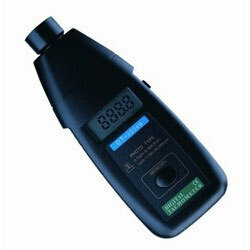 Looking for Digital Tachometer ?